What is love? No, I’m not referring to the song by Haddaway from the 90s. I’m talking about feelings we have for one another or towards something. Merriam-Webster defines love in multiple ways: (1) a strong affection for another arising out of kinship or personal ties, (2) warm attachment, enthusiasm, or devotion, and (3) unselfish loyal and benevolent concern for another. We all have our own definition of love, per se, but in a blended family, love is definitely different for each individual involved. There are different kinds of love…between parents and children, parents and stepchildren, sibling to sibling, and sibling to step-sibling. For biological parents, love for children tends to be automatic and deeply ingrained, whereas love for stepchildren must be nurtured, taking time and patience. For children, love for biological parents also tends to be automatic and part of the soul, while love for stepparents generally happens over time with a lot of ups and downs throughout the process. It is tested and retested. It is often earned through trust. Similarly, sibling to sibling love is more natural and accepted by society, while a child loving his or her step-sibling is a process and takes time to foster. Ultimately, love is a choice for anyone involved in a blended family situation. In our blended family, it has taken time to learn each other’s love type and how that mixes within our home. A counselor once told us that blended families are like a crockpot, and it takes time for all the ingredients to cook and blend together to make a healthy, savory meal. I share different types of love between my two stepdaughters. The oldest one is a rule-follower, organizer, planner, and a thinker. As a whole, she questions everything, from how Santa makes it to everyone’s house in one night (at the age of 3, mind you) to why we decided to eat at Wendy’s instead of McDonald’s on a trip to visit my family. My relationship with her has definitely had its ups and downs due to multiple factors, but one that stands out in my mind is her conflicted desire to love me without hurting her mom’s feelings. With this comes a yearning to trust me and my motives, which again, takes time. My other stepdaughter is spunky, easy-going, and spontaneous. Her love has been pretty open and steadfast from the start. She is an optimist and tends to see the good in everything, which makes the love between us come more naturally. For my girls and their love for their stepsisters and vice-versa, it has been interesting to see how their relationships have developed over the past four years. As mentioned in past blogs, we refer to them as “steptwins” because of their closeness in age (the older two are 6 weeks apart, the younger two are 4 weeks apart). Their love has gone through its own rollercoaster patterns with an extreme high when they first met to some pretty low lows, back to a fairly even plateau as we approach the five year mark of “being blended”. Initially, after reality set in and the differences in personalities were more obvious, they all struggled in different ways to find their place in our family structure. Personality differences, previous experiences, learning how to mesh within our household, and trying to figure out their different roles at our house versus their mom and dad’s definitely took a toll at times. I would say their current love is more relentless, as they have found their place and role in our crockpot meal. While I would describe their love for their biological sibling as unconditional and ingrained, they definitely have their share of arguments with each other. However, the “blood is thicker than water” saying seems to hold true for them. Their love for stepsisters takes on different forms at different times. Some days they all get along and truly enjoy each other’s company, and on other days, the tension in our household can be cut with a knife. While I often wish “the steps” shared a more natural, unconditional love for each other, I reflect and realize that I cannot push or force that upon them. My ultimate and more realistic hope is that they will care for each other and defend their stepsister if someone else was hurting them or making fun of them. We don’t demand they be best friends, but we do have an expectation that we all respect one another for our strengths and regardless of our weaknesses. What I know to be true is that God loves us, no matter the pain we have caused or the trouble we have incurred. He forgives if we seek it. We are called to love one another…no matter the type of love we give, as love comes from God. As you read this blog what type of love sticks out to you between you and your stepchildren? What about you and your biological children? And lastly what about bio to step? Leave a comment below with your answers or tell us how this blog has helped you see your family in a different light? PreviousDoes “Justice for All” Really Apply During A Custody Battle? Heather Erwin is a mother/stepmother of four girls. She and her husband Aaron have been married for three years and like to refer their girls as “step-twins” as they are 11, 11, 9, and 9 years of age. Currently, the girls attend four different schools, and they live in two different towns. 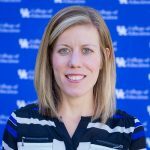 Both she and her husband are professors at the University of Kentucky where they train physical education teachers. The flexibility of their job allows them to spend more time with the girls making memories as this is a very high priority for them because they value every second they get with them. Heather and her husband are avid Christ followers and do their best to instill Christian beliefs into their home. She states that it is her relationship with Jesus Christ that has given her strength over the lasts five years. Though juggling schedules and priorities can be demanding, they try to do things as a blended family of six and spend individual quality time with the girls to encourage them to have their own identities, but know how to cherish their relationships with Jesus, family, and friends as well.